We, in Akbayan (Citizens' Action Party), wish to inform you of our deepest concern regarding your efforts to conduct consultations to determine the merits of the plan to bury the remains of Ferdinand Marcos in the Libingan ng mga Bayani. We believe any consultation on the matter is already too late - the Filipinos, in overthrowing the Marcos regime already, decided it. The groundswell of dissent at the first people power uprising should have nailed shut any chances of Marcos ever being written in history as a hero. Unfortunately, because some congressmen clamor to give the late dictator undeserved honors the issue has become more than that of a simple burial, it has turned into an attempt to revise and rewrite history. Mr. Vice President, you also stated publicly that this process would involve consultations with all the COMELEC-registered political parties. While we have not received any letter from the Office of the Vice President asking us about our position, we would like to register that we vehemently oppose any posthumous recognition of Marcos’s alleged heroism because there is no heroism to speak of. A burial in the Libingan ng mga Bayani is an affront to those who suffered and died under his regime. 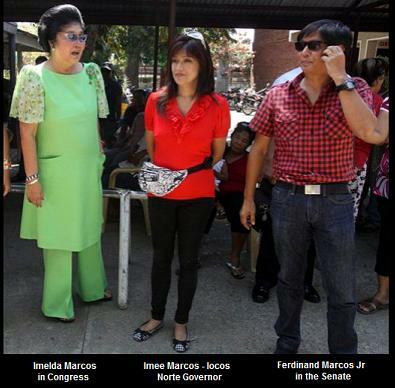 Mr. Vice President, we can only imagine the burden you carry concerning this issue. You were a human rights lawyer and an opponent of the Marcos regime, your personal history may be deemed by some as an issue to be surmounted in order to make an objective decision on the matter. However, such a background should instead serve as moral compass for you to decide firmly against the issue and end "consultations”. Any consultation is premised on the uncertainty of the matter. 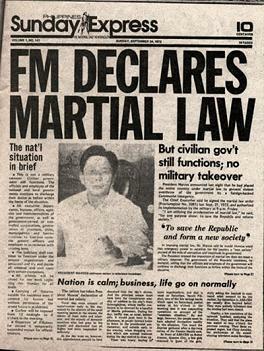 However, it is already certain that Marcos looted the nation’s coffers, gave the military wide latitude to commit excesses, and imprisoned and killed thousands of Filipinos who fought against his tyrannical regime. Those are not under contention. Those are facts. 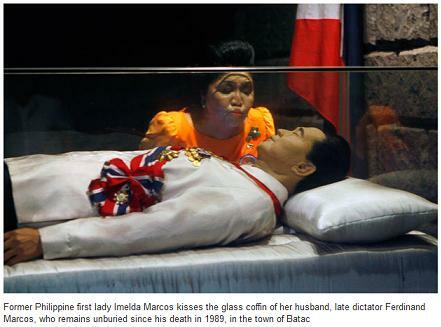 To be clear, we are not against the burial of Marcos. No one should be deprived of the right to be buried in his own country, and no one is depriving Marcos of such a right. His family could always lay his remains to rest in his hometown or some place else that will not offend the Filipino people. Not only would that be more appropriate, it would also spare the families of the victims of his regime further anguish and pain. We are against his burial in the Libingan ng mga Bayani. We are against a hero's burial for an unrepentant dictator. To revise history by repackaging a brutal dictator into a hero is a transgression against an entire generation who fought for the same freedom and democracy that we enjoy today. We hope you are one with us on this issue.